Our June issue is out on Friday! It's that exciting time of the month when our new issue is out! So say hello to our fabulously colourful June issue which goes on sale on the 1st of May! 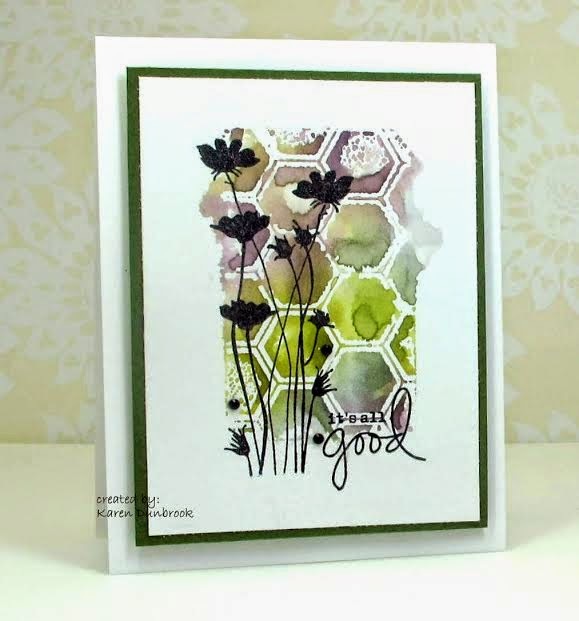 Kay Carley's Summer Skies where she creates gorgeously summery cards with watercolour skies and clever 'die cut and stamp' flowers. 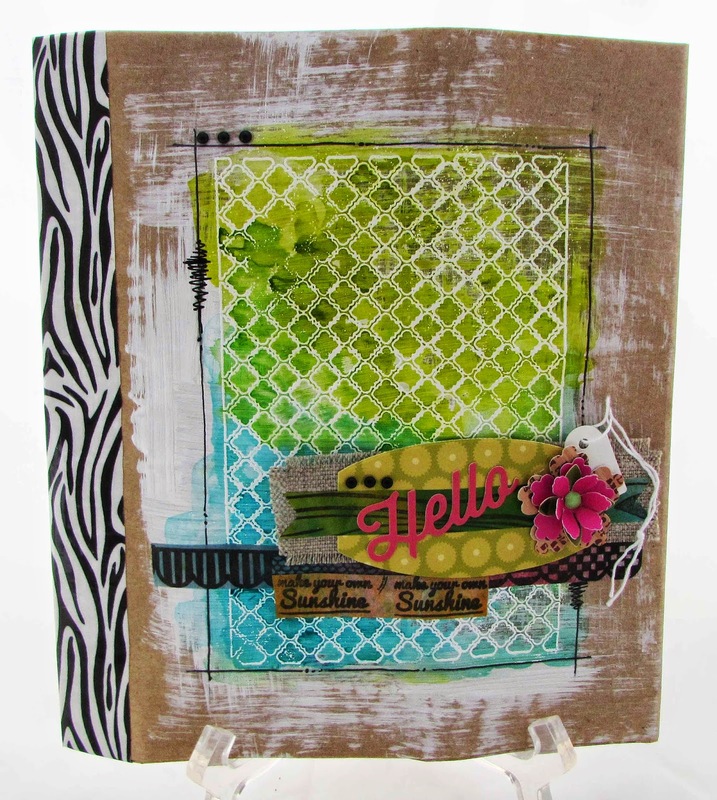 Stamped Stitches by Jenny Marples where she combines sewing and stamping to create a beautiful journal cover. 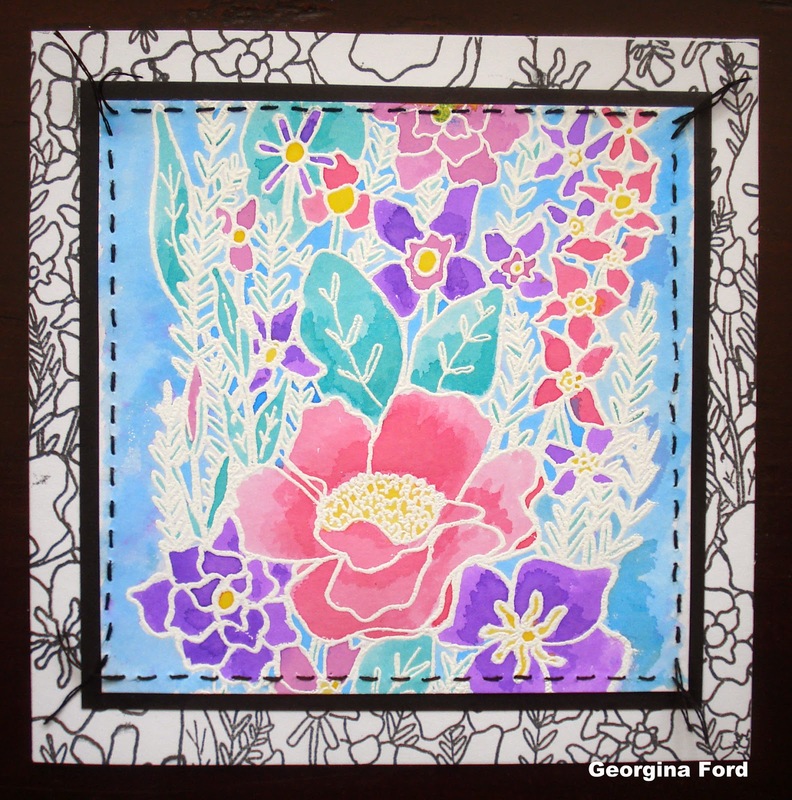 Stunning Stained Glass by Helen Chilton where she stamps stained glass window cards with colouring, paint effects, collage and lashings of embossing! Hello there, I’m Jaine Drake (stands up) and I’m a craftaholic. A day doesn’t go by without me doing something crafty. Whether it’s a bit of cutting and sticking or some sketching doesn’t matter, if I’m not doing something I get itchy fingers and have to relieve it with a bit of stash stroking. I’ve been living the expat life in Luxembourg, which is a small country squashed between France, Belgium and Germany, for about twenty years now. It’s a small but utterly beautiful country covered with forest with tonnes of fantastic history. Most people tell me they’ve passed through it on their way somewhere else but really it’s totally worth stopping off. I live here with my husband and three grown up girlies in a small village which I’ve tried to make my little piece of England abroad. 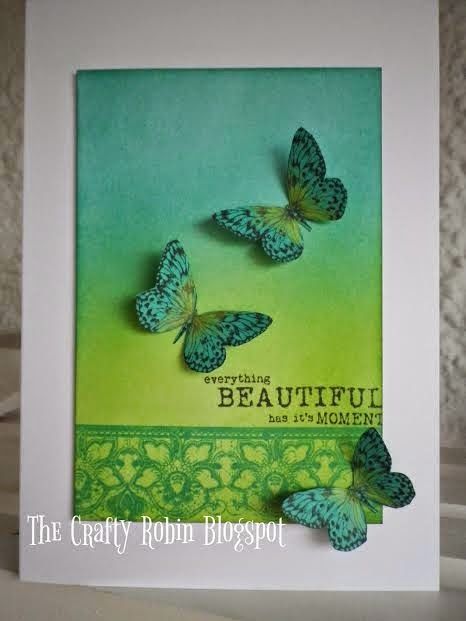 I joined the Craft Stamper team at the end of 2011 and my first publication was in February 2012. It was such a big deal and I proudly showed off my pages at every opportunity. I still get a huge buzz when my contributor's copy comes in the letterbox. I’ve started to feel more confident using my own drawings on projects which I’ll show on my blog and this canvas is one of those projects. It shows not only my own drawing but the texture I love and collage which I also like to do. I suppose my stamping story goes right back to the 1990s when we lived then in the Middle East. I didn’t work and to pass the time joined a group of crafty ladies sewing and learning cross stitch. 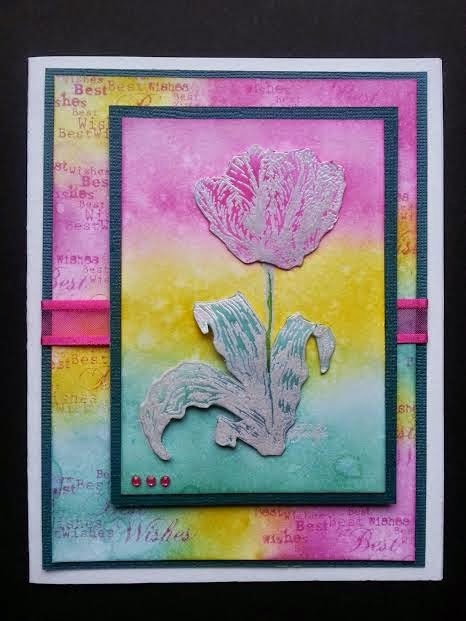 One American lady there brought some cards she’d made using stamps, I was amazed at how simple and beautiful they were, just one layer cards, simple stamping and some colouring in but I fell in love. The materials came from the US and were difficult to get hold of and at that time I was still trying out all sorts of other crafts including quilling but once we arrived back in Europe, I was introduced to it again and this time materials were much easier to find. My obsession had started. Even though Christmas has passed, I still wanted to include the cards here. 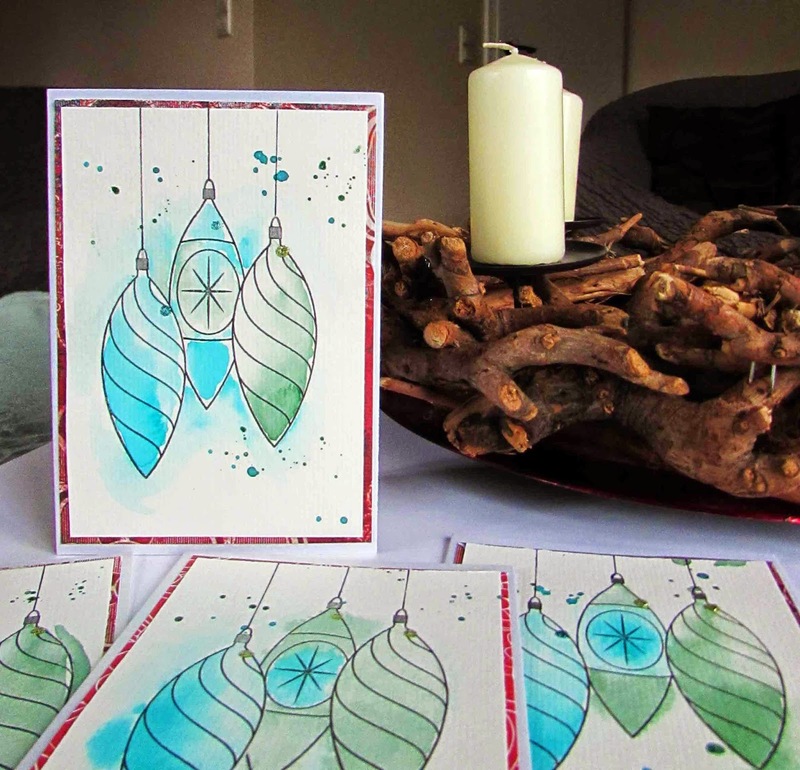 This was the second Christmas I’d been able to mass make cards using my own designs. I’m lucky enough to not only be on the Design Team with Sarah Hurley but also to have my own stamp range with her, something I’m absolutely thrilled about. 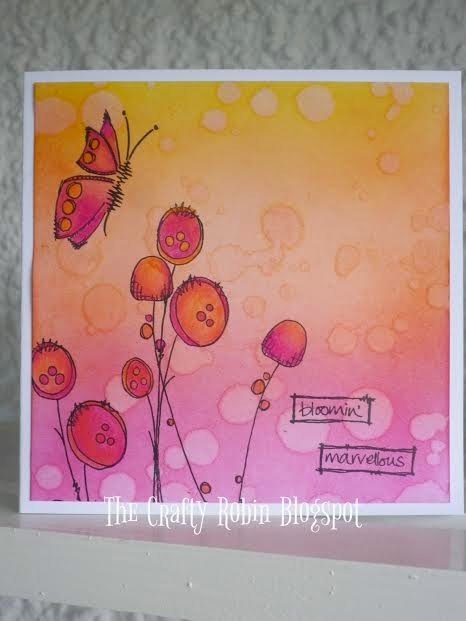 The cards were simply stamped and water coloured mainly because when mass making cards it’s better to keep things simple but also water colour painting is a favourite way of adding colour for me. A:Over the years I’ve gone through many different styles from shabby chic and vintage to clean and simple testing them out but I always come back to a handful of colours and lots of texture in my work. 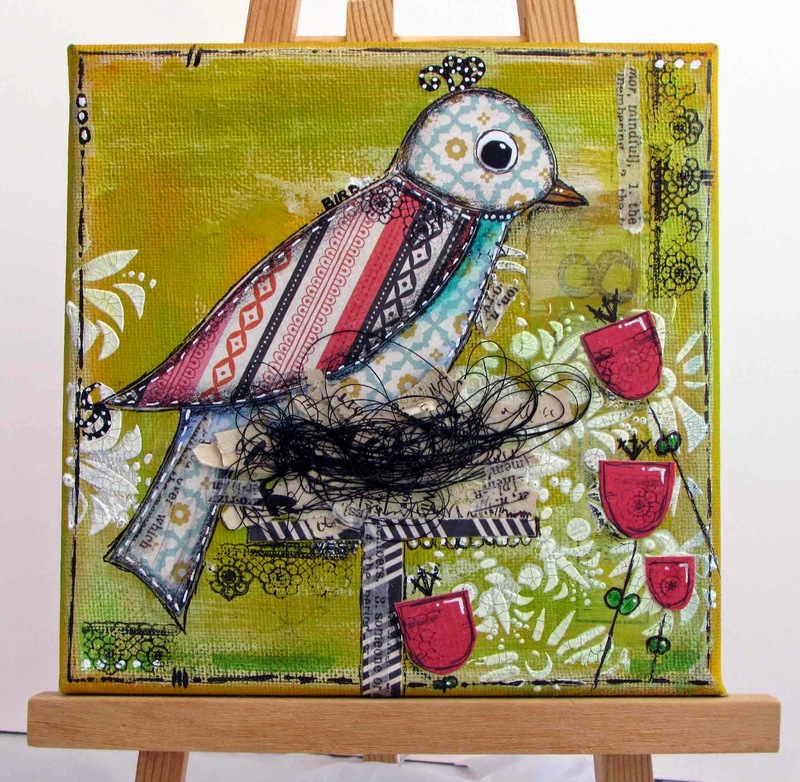 Mixed media is my passion and I love the freedom it gives me to really go to town and create without restriction. I love colour, vibrancy and using texture paste most of all. In the past I was also on the team of Scrap 365. Mini books have been a firm favourite of mine for many years and a lot of my hand made books have been made with paper bags. This paper bag book was decorated with a background stamp from Sarah Hurley and I’d also hand made my own washi tape. A: I’m a lover of Pinterest and I can easily spend a few hours looking through pretty pictures. It’s a constantly renewing source of inspiration from colour combinations to photo staging. I also have a sketchbook and an inspiration journal where I keep ideas and themes. I find these great places to go if I’m working on a project. Thank you for reading and I hope you’ll visit me on my blog. 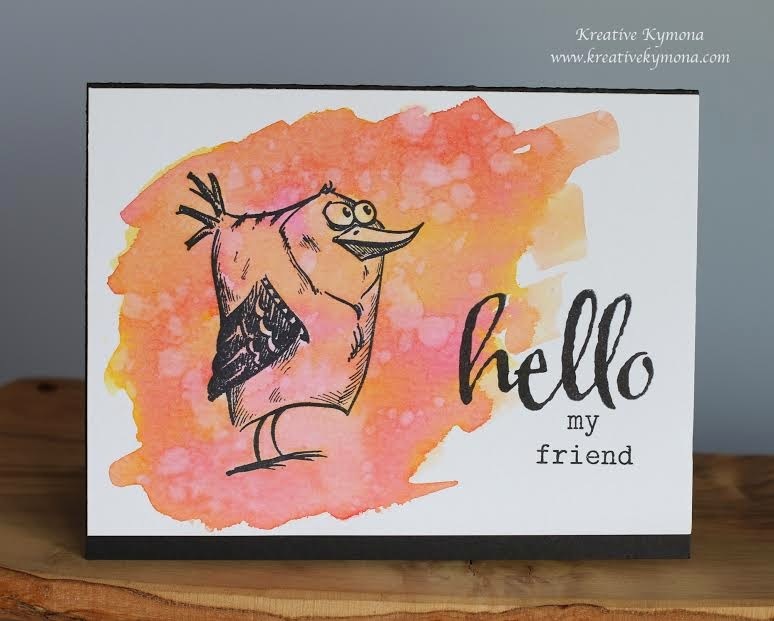 We hope you're enjoying the chance to get to know some of Craft Stamper's contributing designers; thanks for joining us! Submissions required for our Ready, Set, Stamp Feature! Take It Make It April Challenge: The Winners! 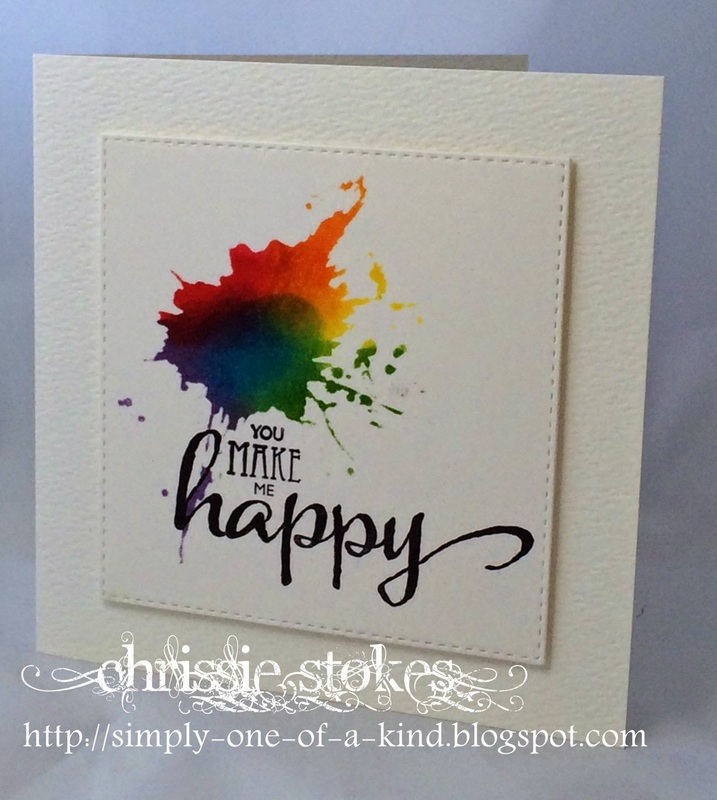 What a fabulous response to our April 'Take A Technique: Colour' challenge! Congratulations Lin! 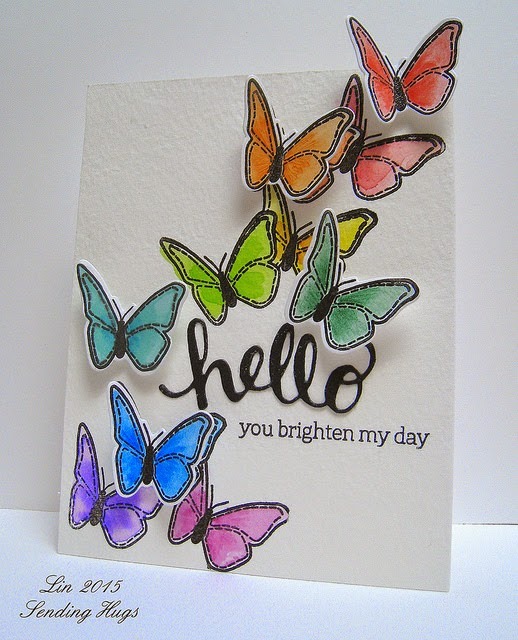 Those colours are simply stunning, we love how the butterflies seem to be dancing across the card! We loved it! 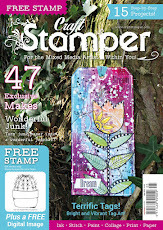 Lin will win a Guest Designer slot, a Winners Profile and of course her gorgeous project will be published in Craft Stamper Magazine. Congratulations Donna! I'm very jealous, those stamps are fabulous!! Please check back next Friday for the launch of our May Challenge, we can't wait to see what you create! 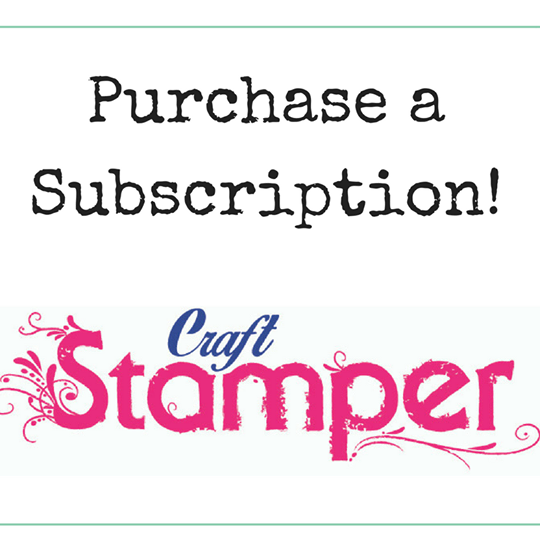 Craft Stamper Magazine has a feature dedicated to YOUR art... so we need to find some fabulous projects to fill it! 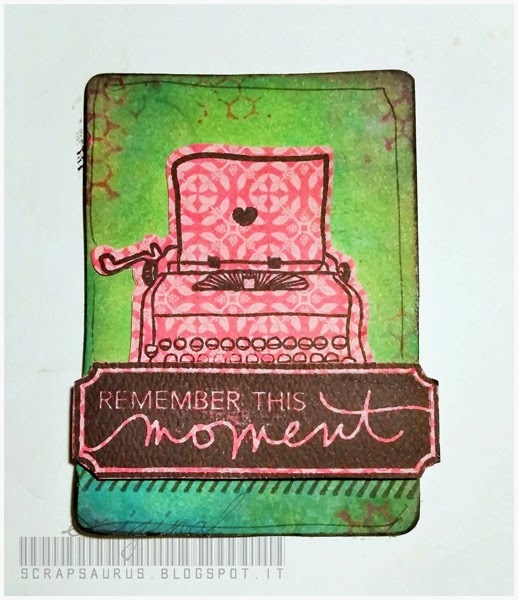 We are a mixed media magazine, with an emphasis on excellent stamping skills . If this sounds like your work, you are on the right lines! We want to convey a bright, vibrant, happy feeling in the magazine. Projects that are dark, grungy or mostly brown are not our thing! 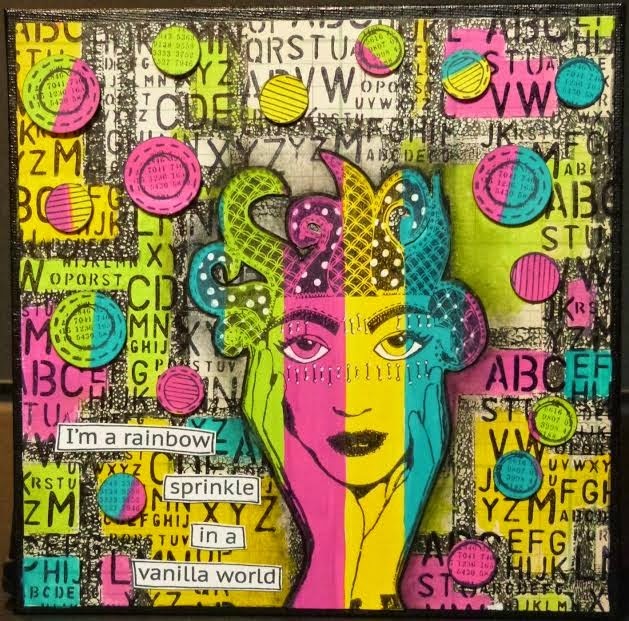 We welcome all kinds of art : Art panels, Journal pages, 3D assemblage, Sculpture, Fabric art, Canvases, Layouts, Tags, Upcycling, Home Decor etc. For this feature however, we will NOT be accepting cards. So, fancy getting you and your art noticed by the UK's best mixed media magazine? Why not give it a go, you've nothing to lose! · Please note that due to the number of submissions it's not possible to contact every entrant individually - if you have not heard from us within one week of emailing your submission, you have been unsuccessful with that project. Please try again with another project!
. There is no deadline involved with this call out, this is an ongoing feature so requires projects for each and every issue. 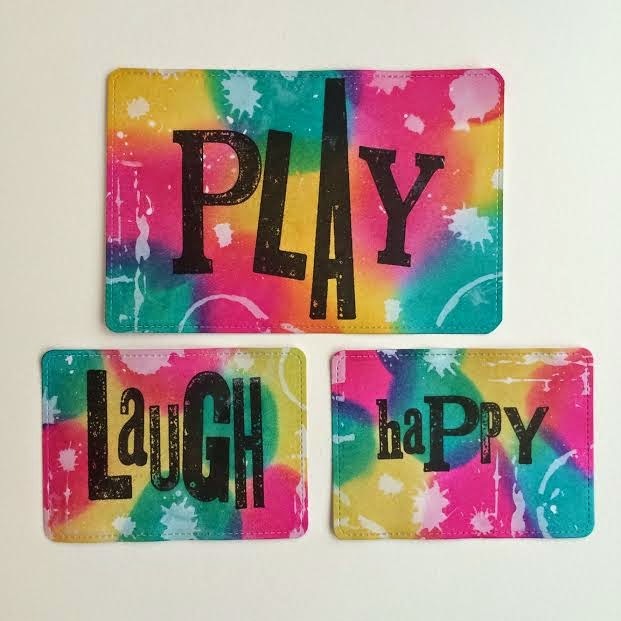 · Readers Submissions can be anything at all apart from a card. 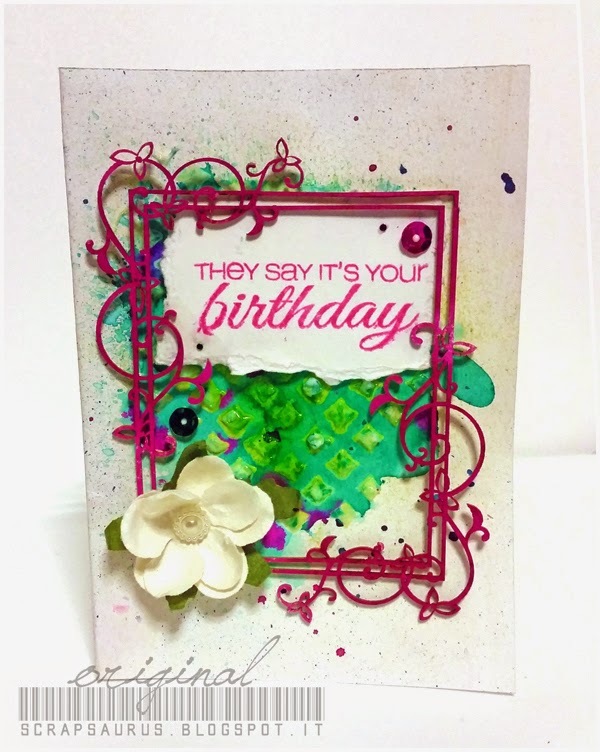 This feature is NOT for cards.
. We do not accept projects created with digital stamps ONLY for this feature. Digital stamps are welcome, but must be used in conjunction with 'real' stamping to qualify. 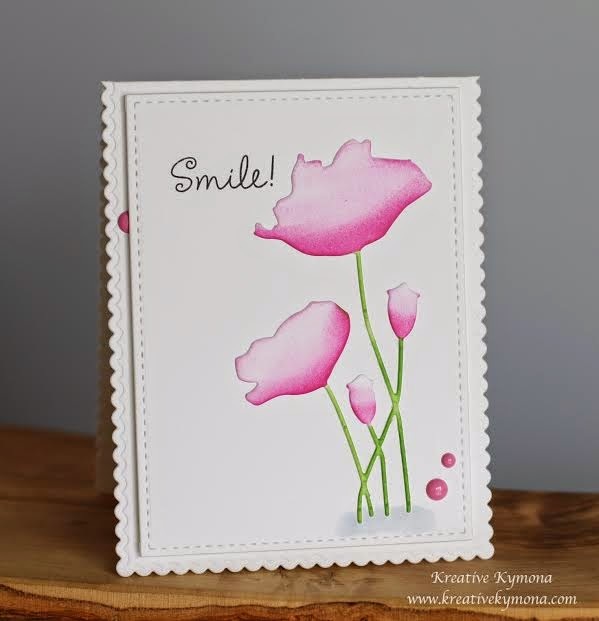 · Projects which are selected need to be posted to the Craft Stamper offices in the UK. · Note that we do choose artwork as it arrives, so please don't hesitate to submit if your projects are ready. · Projects will be returned at our expense, along with a complimentary copy of the magazine in which your project features. Note this can take approx. three months or longer, depending upon the issue in which your project is published. · Text for this article is required and should be entered into the document provided – this will be sent to you if you are selected. Help can be given with this if needed! A: I have always crafted since I was a child and loved to craft with my children and now my daycare children. 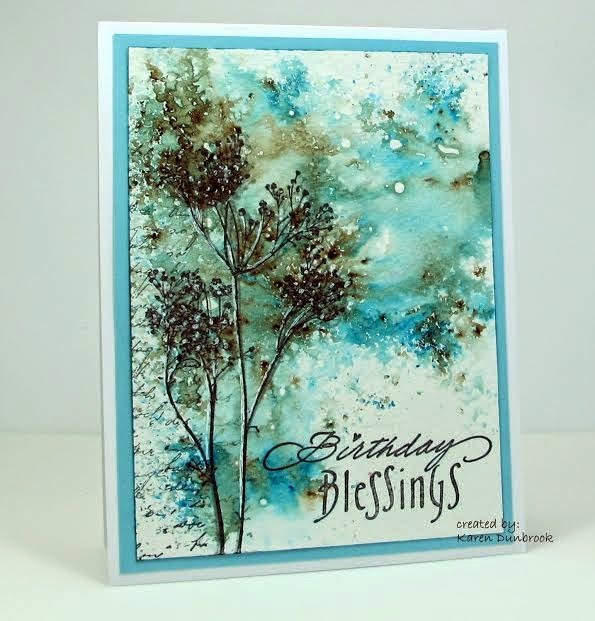 Since I loved making and giving away cards for birthdays it made perfect sense to stamp then I got seriously hooked on stamping years ago when I found Splitcoast Stampers. Amazing talent and inspiration there. 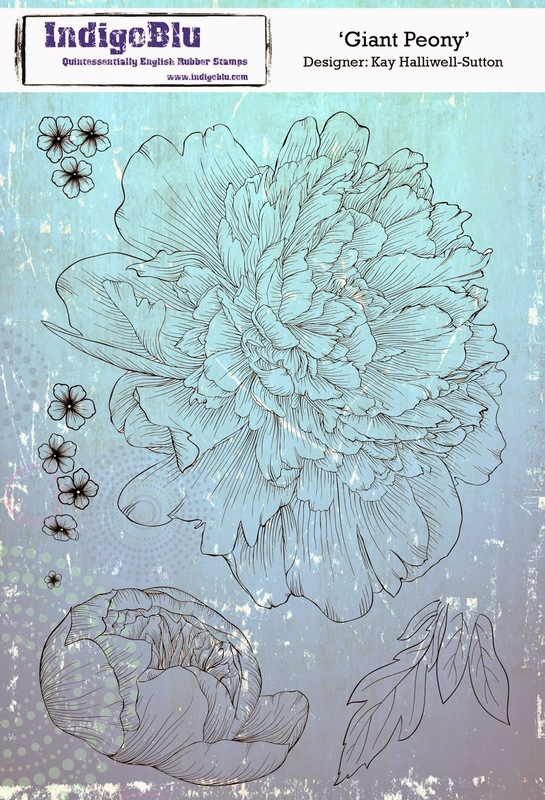 A: I guess I would have to stay my favourite kind of stamps are florals. 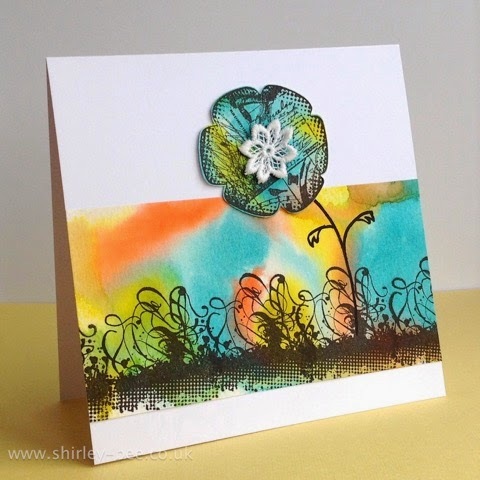 I especially love the flower silhouettes as I can colour on them with markers, spray with water and stamp. I can create them in many blended colours. 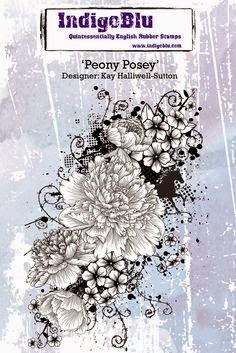 I have many favourite stamping companies especially Penny Black, Hero Arts and Rubbernecker. 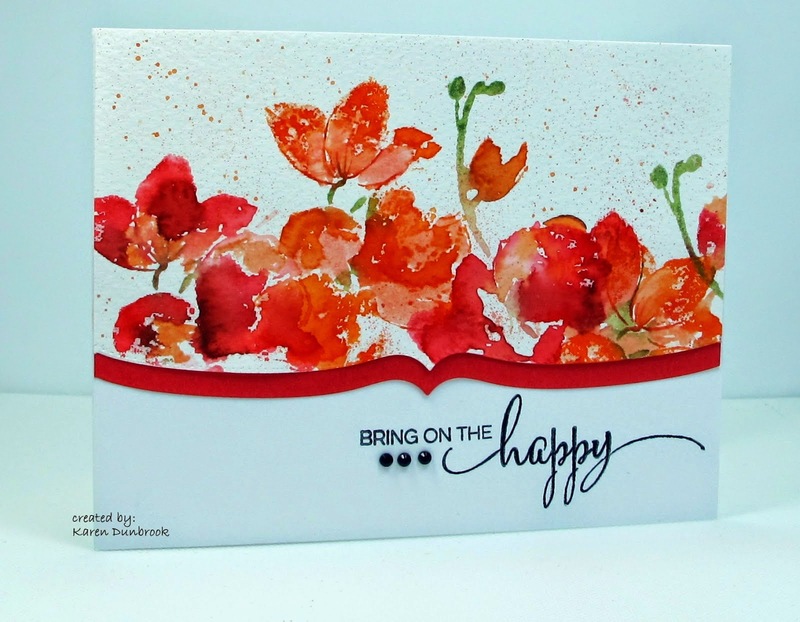 A: I would have to say that I am a ‘Clean and Simple’ – a CAS stamper who likes to dabble with techniques and try new things without adding all the layers and embellishments. A: I create cards. 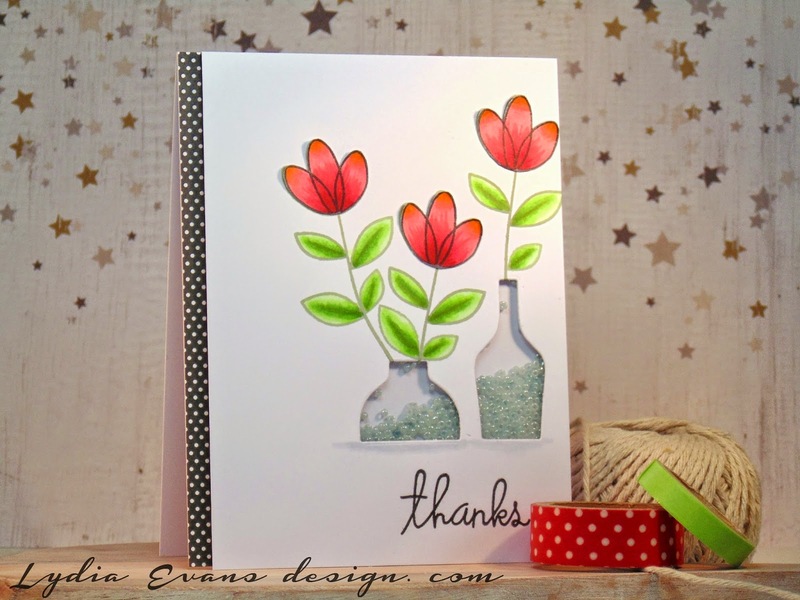 I can create a card, send it and hope it brings some happiness to brighten the recipient’s day. Also, it is not a long time commitment as I have such a busy life with my little daycare children. A: I couldn’t do without my Distress inks. 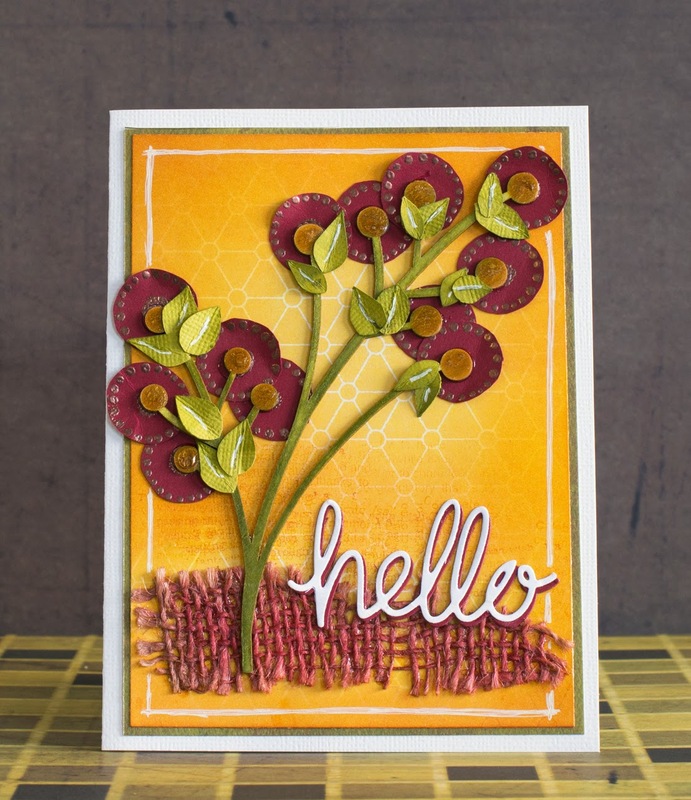 There are so many things you can do with them other than just stamping. 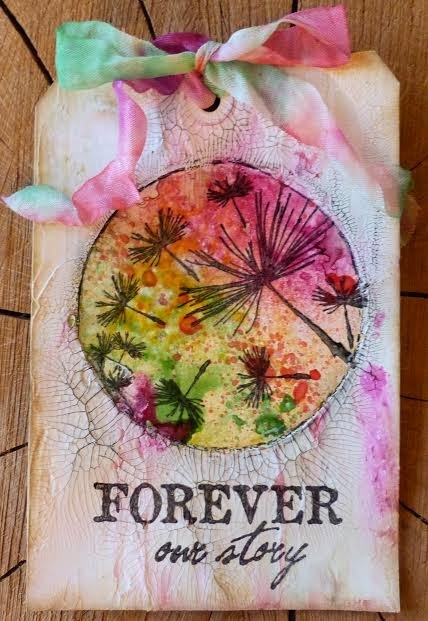 Since they blend with water, you can watercolour with them, use them to stencil, sponge or just stamp. There are so many wonderful techniques for different looks using these inks. 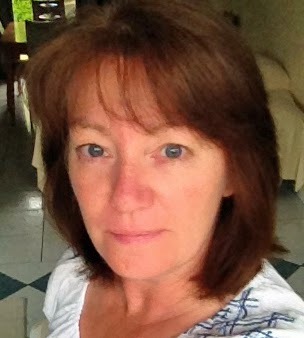 Congratulations on being our March Design Winner Karen, and it was lovely to learn a little more about you! Our current challenge 'Take A Technique : Colour' is still open for a few more days! All the details can be found HERE. See you next Friday for the announcement of our April Winners! Brand New TIMI DT Members! There were an awful lot of applications for our recent DT call, so many fabulously talented people out there! We can't thank everyone enough for taking the time to apply. It took a long time to look at all the beautiful art on show, but in the end we narrowed it down and chose our new DT members! 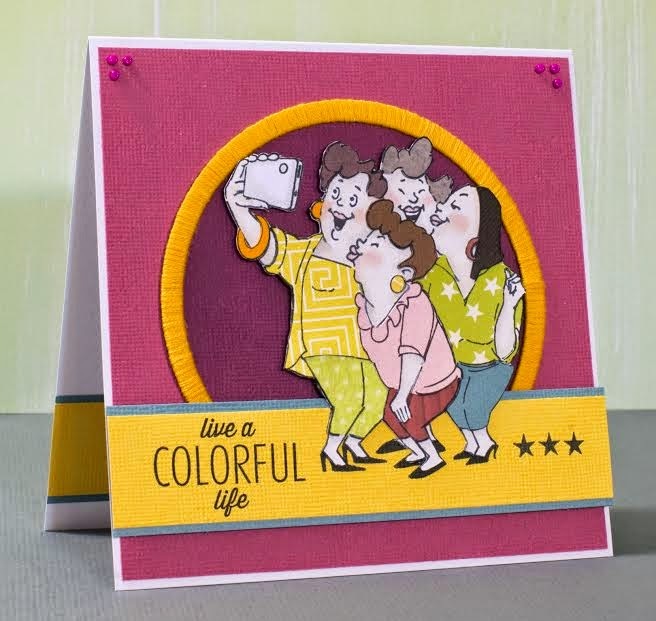 You won't have long to wait before you see the first stunning DT creations by these lovely ladies... the poor things have been thrown straight in at the deep end and will be debuting in our May challenge! Pssst....don't forget the April challenge is still open for another week and a bit! Details HERE. Be as bold, bright and vibrant as you can...no monochrome or dark grungy projects please! The DT have been having loads of fun creating some more more colourful projects for you to feast your eyes upon, brace yourself, there is rather a lot of eye candy on show! 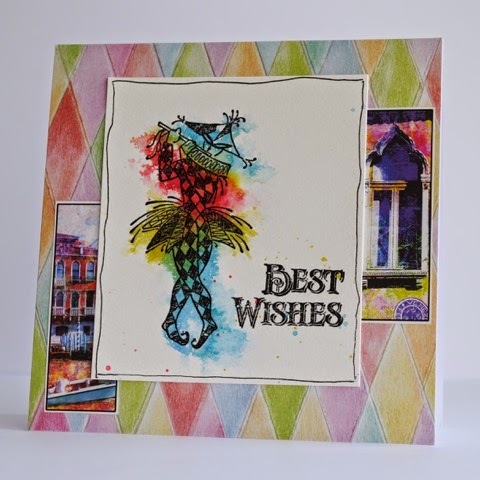 The Design Winner, voted for by our DT, will have their project published, have a guest DT slot for an upcoming challenge, and ALSO gets their very own winners profile here on the blog....so why not get busy with the colour (don't forget to include some stamping!) , we'd love to see your creation! 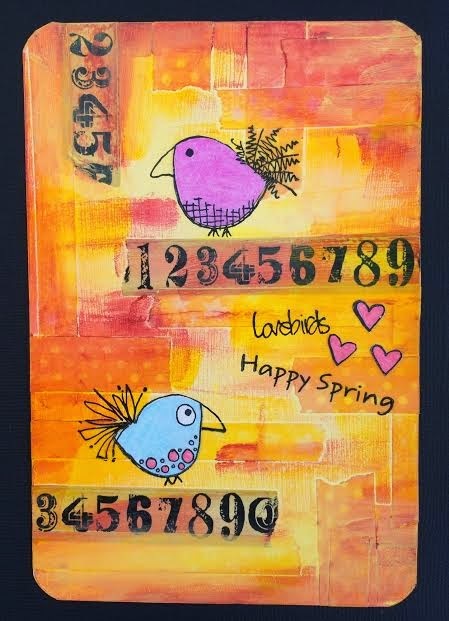 Take It Make It Challenge : April! Welcome to the launch of our April Challenge! Well, not so much a technique as a theme.... this month we want you to go all out with the colour! Nothing dark, monochrome or grungy please, we want bright, vibrant and cheerful! You don't HAVE to use every single colour of the rainbow all at once...but maybe lots of them?! 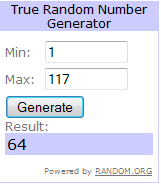 I can imagine all sorts of stunning creations made with those beauties, our randomly drawn prize winner will be a very lucky person! I hope the prizes have given you all an incentive to win...... and how about some eye candy from the DT to give you some colourful inspiration! Hi there and happy Thursday! 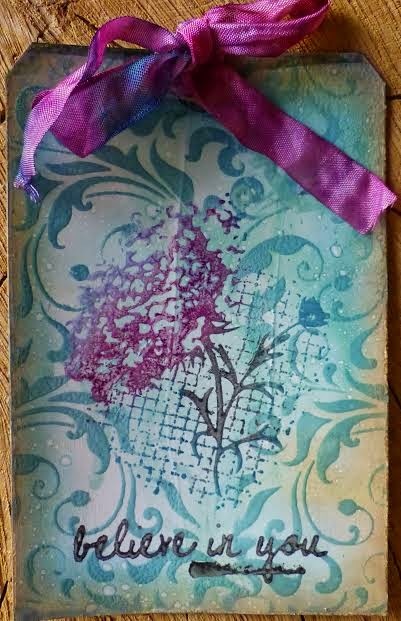 Last month in Craft Stamper I shared a card in the Ready Set Stamp section of a shaker card using sequins, I wanted to show today though that other things can be used in the shaker element of the card to get different effects. I love the effect that seed beads give in a shaker card, they give a much more satisfying sound (I think), and as they are a little heavier they all seem to drop and find there own level.... I think that works great to give the effect of liquid in a jar. 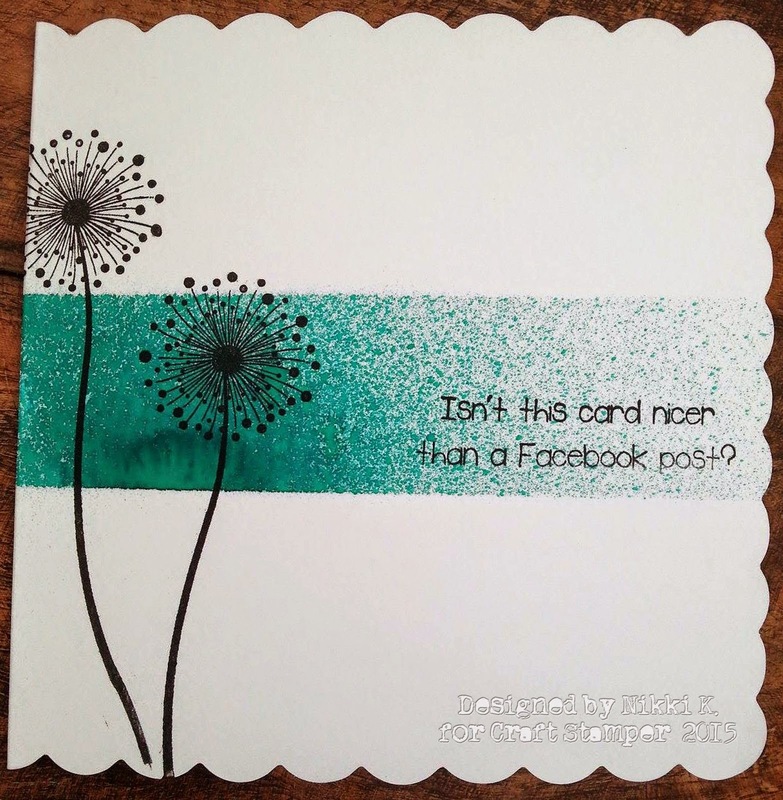 I'd love to know and see what else you crafty people would use inside a shaker card!